The two females we have added are, Leja from the Serbian Military and the other is Zeva from the Stankovck line both females are registered and full blood from the former Yugoslavia. I will be adding pictures soon. These dogs are highly effective in controlling the predation of livestock by Wild Dogs, Coyotes, Wolves, Mountain Lions, and Bears. They are also great for family protection and as farm / ranch guardians. 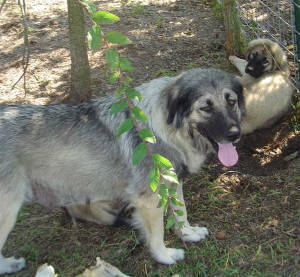 Arcan (Sire) and Geki (Dam) were both imported from Macedonia to the United States in 2000. These dogs have produced nice healthy pups. The dogs currently reside in Oklahoma. All dogs sold come with UKC registration and current health records. We can ship puppies to almost any location. If you are interested in information regarding any of our dogs please feel free to contact us. 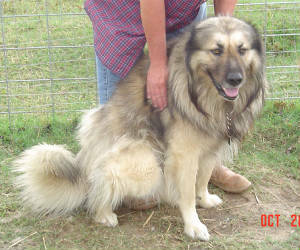 These dogs make wonderful stock and family guardians and would make a great addition to any family.